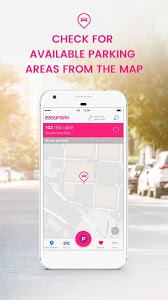 Use EasyPark all over your country as well as in over 700 cities and 12 countries across Europe. 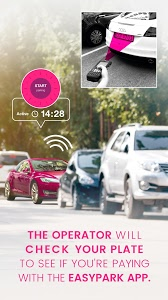 The app can be used for both, on-street parking and private parking areas in your city. 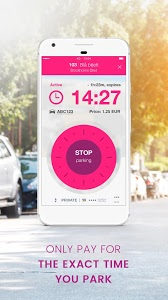 ★ Prolong your parking session or re-start it easily from the phone – wherever you may be! 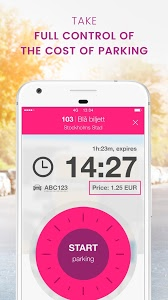 EasyPark is the first stop on your way anywhere. 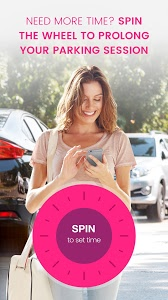 Join more than 4 million happy users (our customer satisfaction rate is 90%) and find out why we’re the quickest, easiest way to pay for, prolong, stop or find nearby parking. No need for coins, cash, or parking meters. We’ll take care of parking, so you can go out and enjoy the things you love. 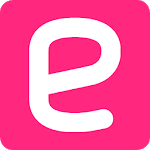 - It is now easier to save money through helpful reminders and we guide you to the right settings. - We have done several bug fixes.